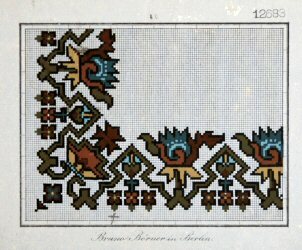 Single sheet charted multicolor design for a Berlin woolwork border (with corner). Striking motif is of stylized lotus-like flowers, in green, red, blues, yellow, and orange. Includes modern recharting. 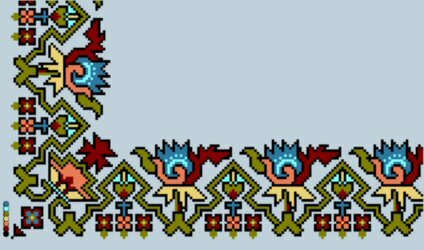 Can also be used for cross-stitch, needlepoint, and beading.